When it comes to having a system for home automation and security, there are plenty of different options. A lot of people choose to go with a traditional company that sells or rents equipment and then offers to monitor the system they’ve installed. But the right system for home security may be something else entirely, depending on the specific needs of the homeowner — and in many cases it’s good to tie that system into overall home automation. That includes things like lighting and thermostats, as well. Fortunately, a smart thermostat can be made by using a Raspberry PI, instead of buying from an automation company. Raspberry PI is a platform that many people use to make home automation systems and devices. It’s not perfect and it takes some work on the part of the homeowner, but it gives them a chance to create a system and devices that they really want and need, instead of being forced into using only what the security or automation company is offering to them. In short, it’s a way to build a completely customized system — provided there’s some learning and patience involved. But keep in mind that it’s not always easy, and that there may be some trial and error to be had before a smart thermostat is successful. Why Make a Smart Thermostat? There are a lot of great reasons to make a smart thermostat, and one of the most significant ones is the comfort and convenience a homeowner can achieve with this kind of technology. It’s possible to have the temperature easily controlled, and for it to be raised or lowered based on several factors including the time of day and whether or not a homeowner is home. The day of the week may also play a factor, and there are ways to adjust the thermostat to do some really great things to increase the level of home comfort. With that in mind, though, most people just go out and buy smart thermostats. They generally do that because they think it’s easier and cheaper than making one on their own. They may also lack the technical skills. But for tech savvy people, it can be less expensive to simply build their own smart thermostat. 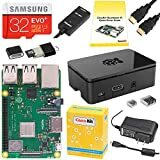 What Does Raspberry PI Offer? With an option to use Raspberry PI, there are no excuses for a homeowner to not have the home security system they really want and need. That’s because Raspberry PI offers a platform for the creation of an automated security hub that will help organize and manage a home while it’s also protecting it. Having the right security and automation system is a great way to have not only strong security, but also the comfort and convenience a homeowner wants and is looking for. 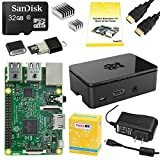 With Raspberry PI and some tech knowledge, all of that is possible. There are so many reasons for a homeowner to use Raspberry PI, but if they’re not going to do that they’ll want to choose a company that can help them automate and secure their home. That’s very important, and can give them peace of mind and everything else they’re looking for, as well.